The 3rd Annual Meeting of the Japanese Association of Supportive Care in Cancer (JASCC) will be held in Fukuoka City for two days from August 31 (Fri.) to September 1 (Sat. ), 2018. Since its inception in 2015, JASCC has been steadily producing results through a trial-and-error process, thanks to the understanding and support of cancer-related academic societies, organizations and companies as well as JASCC members. Unlike other academic societies, JASCC has set up a study group in each field of specialty, which play a central role in JASCC’s activities. Currently, JASCC has seven committees, 17 study groups and four working groups, and through them offers timely information on education, research, and supportive and palliative care. Through these study groups, JASCC started clinical research in FY2016 to establish cancer rehabilitation and cachexia with external research funds provided by AMED. JASCC has just published a practice guideline for peripheral neuropathy and a book of atlas and management for skin problems associated with anti-cancer drugs which will soon appear on to the market, and a few other study groups have already begun to prepare the guidelines. Thus, JASCC endeavors to provide in the near future appropriate guidelines to deal with various symptoms and kinds of pain that afflict patients. For the 3rd Annual Meeting of the Japanese Association of Supportive Care in Cancer we have chosen the theme of “Evidence-based supportive care to establish integration of oncology and supportive/palliative care” The Annual Meeting will help us establish supportive and palliative care that is as evidence-based as cancer treatment, through presentations and discussions on the results of JASCC’s activities. I sincerely hope that the Annual Meeting will provide a venue for meaningful discussions and will help improve the quality of medical care. I look forward to the participation of many people in the meeting. 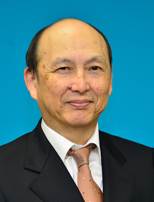 Congress President, 3rd Annual Meeting of Japanese Association of Supportive Care in Cancer. Copyright ©The 3rd Annual Meeting of the Japanese Association of Supportive Care in Cancer. All Rights Reserved.